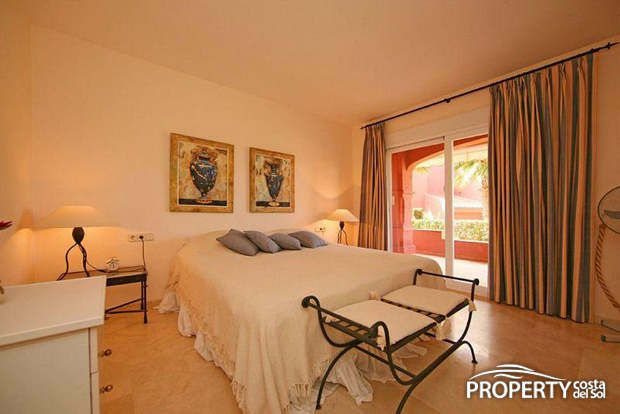 The development of Cerrado de Elviria located on the prestigious beach of Elviria. 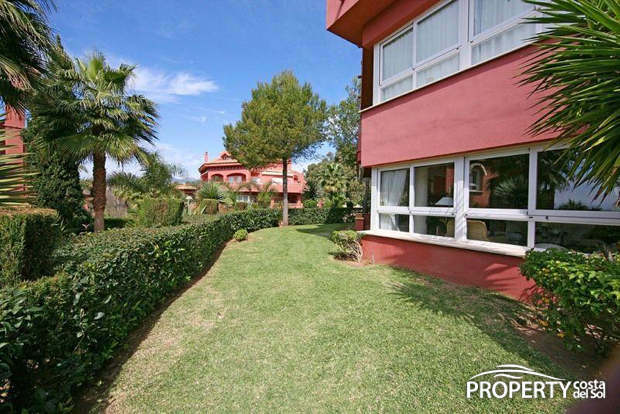 The complex has a very spacious beautifully landscaped garden with a big swimmingpool and nice sea view. 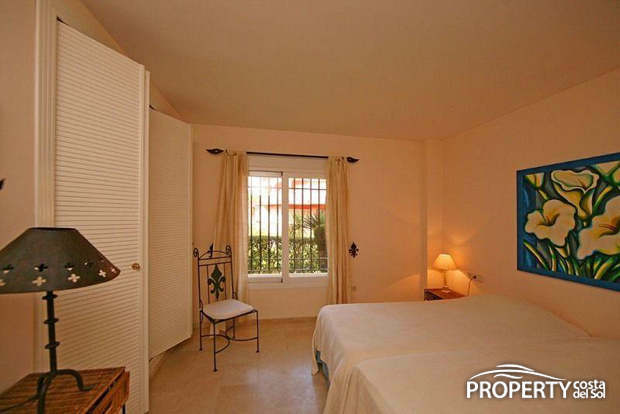 It offers access to the beach, where the well known restaurant Beach House is situated. 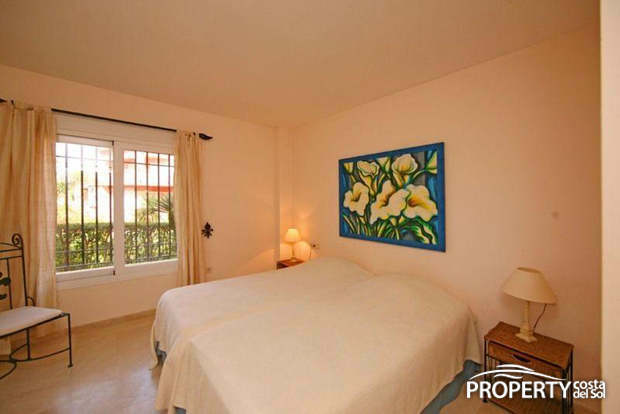 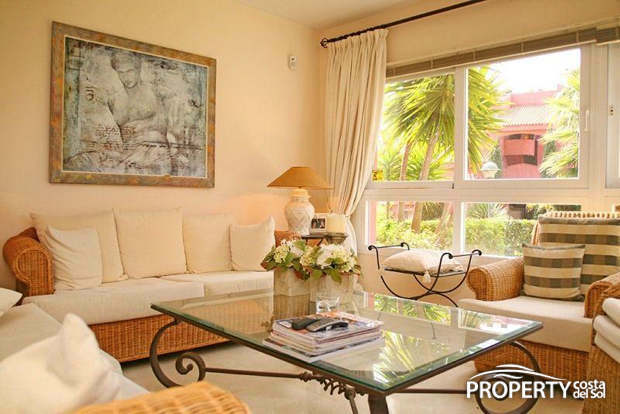 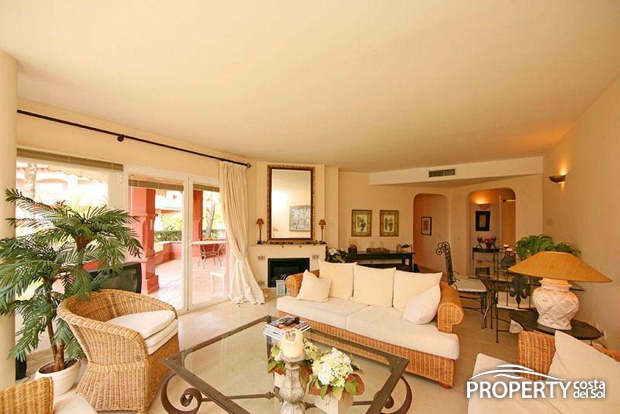 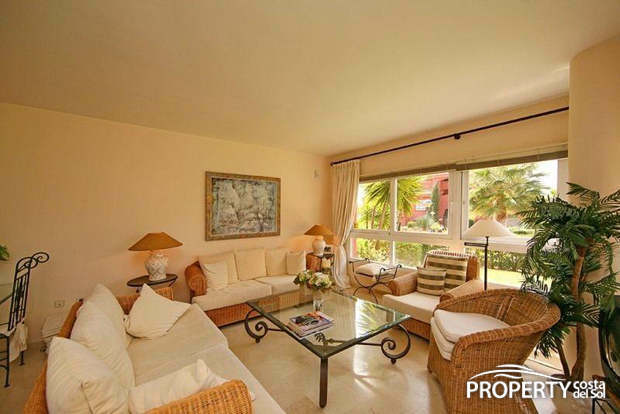 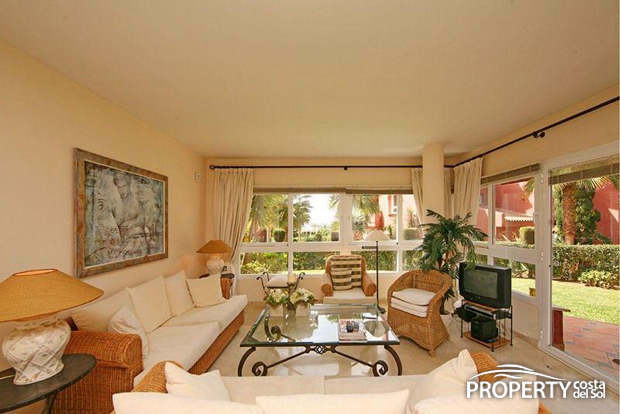 The apartment offers sea views from the living room and has three bedrooms. 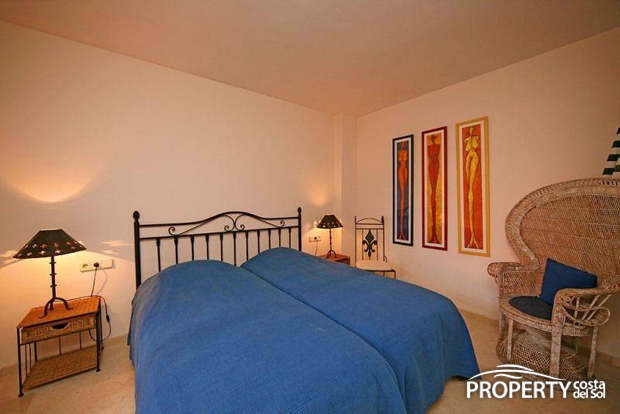 Two of the bedrooms offer direct access to the garden, and one of them is with a bathroom en-suite. 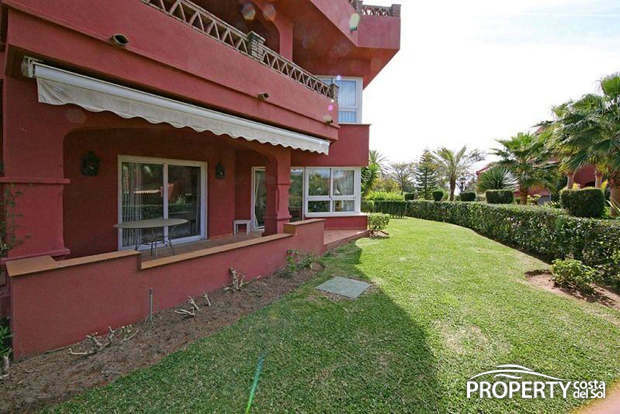 The garden is very private with a hedge around it. 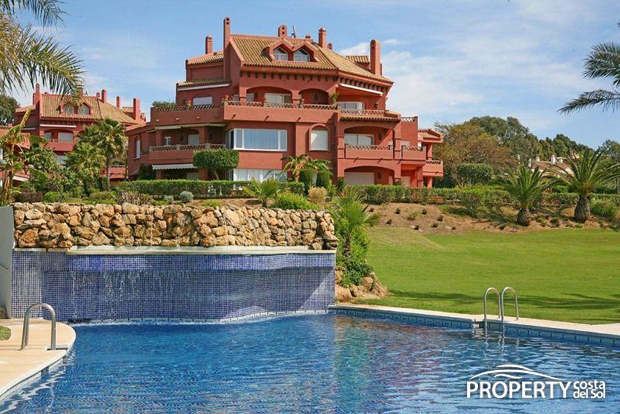 The area of Elviria is situated a 10 minutes drive from Marbella centre. 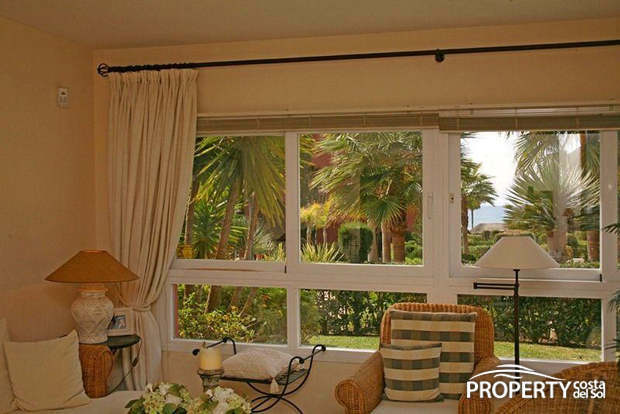 There are two golf courses, the Santa Maria golf course and the Greenlife Golf course with its top restaurant El Lago. 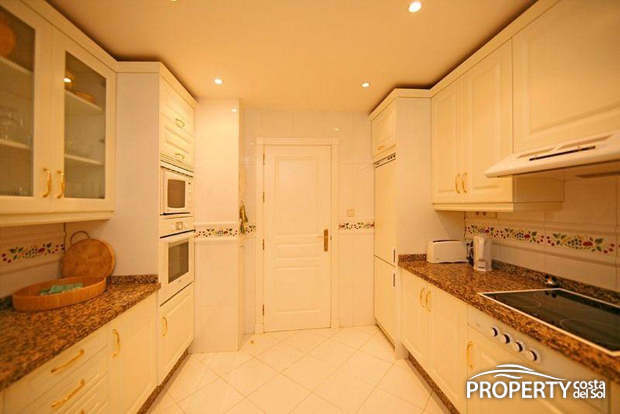 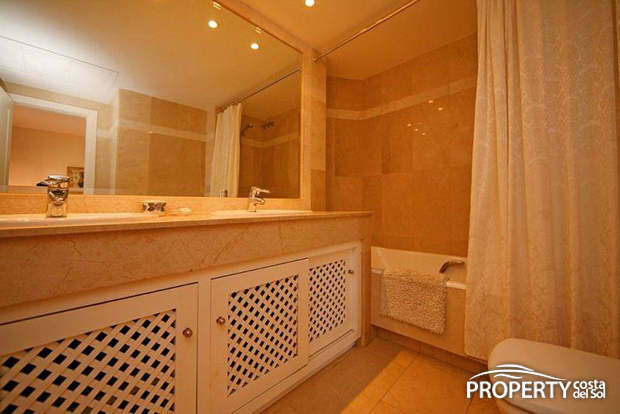 Yes, please send more information about this property with ref.no: 516.